RISTC took part in the International Conference «Renewable and Small-Power Energy» held in the Congress Hall, Expocentre at Krasnopresnenskaya embankment on June 7-8. RISTC Deputy General Director L.I. Kornaukhova provided the participants with the information about the Centre and its activities. General meeting of the RISTC founders. The academician A.O. Gliko, director of the Schmidt Institute of Physics of the Earth, and S.Y. 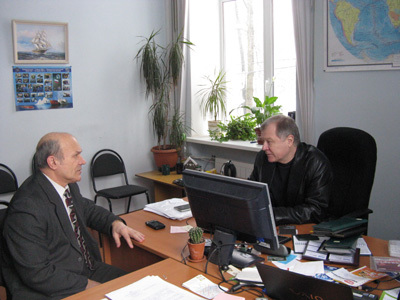 Sukonkin, director of the Experimental Design Bureau of Oceanological Engineering, summed up the Centre’s results for the year 2010 and agreed a working plan for 2011. March 15, 2011. 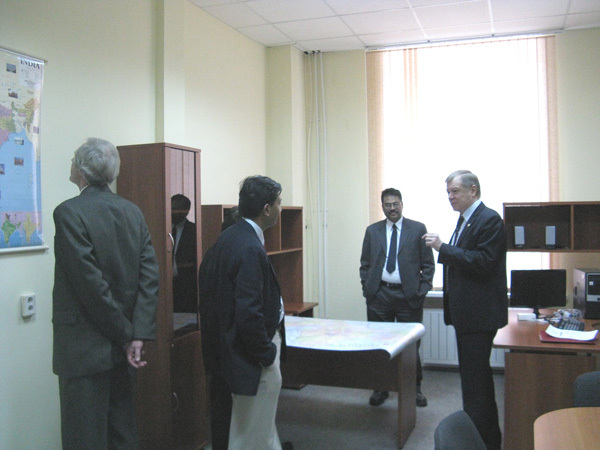 Coordinator of the International Cooperation Division of Department of Science & Technology, the Government of India, Dr. Rajiv Sharma, accompanied by the Division scientist, Mr. Rajiv Kumar, and the Counsellor (Science & Technology) at the Embassy of India in Moscow, Mr. S.K. Varshney, visited the Centre. From the Russian side the negotiations were held by General Director of RISTC, Mr. Sergey Sukonkin, Deputy General Director of RISTC, Mrs. Lyudmila Kornaukhova and the Centre staff. The sides appointed the dates for inauguration of Moscow and Delhi units of RISTC; they also discussed the cooperative work plan for 2011 and signed the Minutes of meeting.